Corian Ellisor in deep thought cools off his hardworking brain with a very stylish fan during Core Performance Company's end of the year wrap up meetings. Today we had a great lunchtime in the studio where Juana Farfan, Core Dynamic X - Change coordinator lead introduced our program, lead the lively audience through a sample class warm up. We were also fortunate enough to have the kids from our winter Dynamic X change class come join us and share their artistic talents. 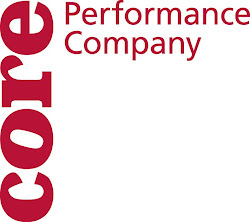 Tomorrow Core Performance Company members will take their skills and enthusiasm to Renfroe Middle School to lead a creative dance class with the students there. The company finishes up the season on Monday! 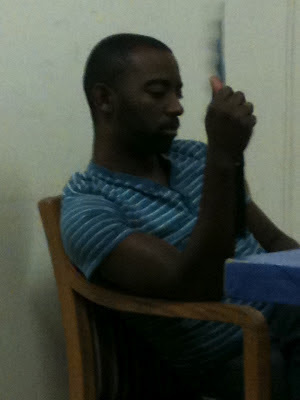 In the meantime be on the lookout for summer classes from Core dancers and a summer Fieldwork program.